As some of you may already know, Issues With Tissues is returning to University of Westminster’s Marylebone campus on Saturday 16th April 2016. This event will earn you 5 CPD points, which are currently pending, so as if the talks weren’t enough, that certainly should be whetting your appetite! To register for this event, simply click the orange button below and select your ticket. Just a very quick post to let you all know that we haven’t forgotten about our big annual event, Issues With Tissues, we’re just rescheduling it for February 2016. So keep your Saturdays in February free until we confirm the date for you! Please subscribe to our website’s mailing list to keep up to date with our upcoming events, especially as we have our winter evening event brewing in the pipeline for this December. Be sure not to miss out! We look forward to seeing you all in December! The moment you have all been waiting for has arrived! The full programme for this year’s Issues With Tissues is now available and ready for you to share far and wide with your friends and colleagues. …and not only that; you’ll earn 6 CPD points, too! Yes that’s right, folks; Issues With Tissues is back! 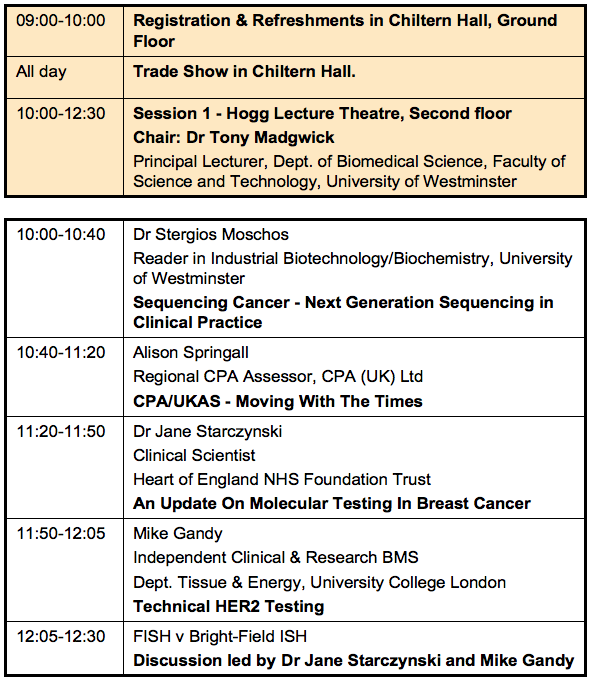 So, save the date for Saturday 18th October for another thrilling and jam-packed day event at Westminster University’s stunning Marylebone Campus. 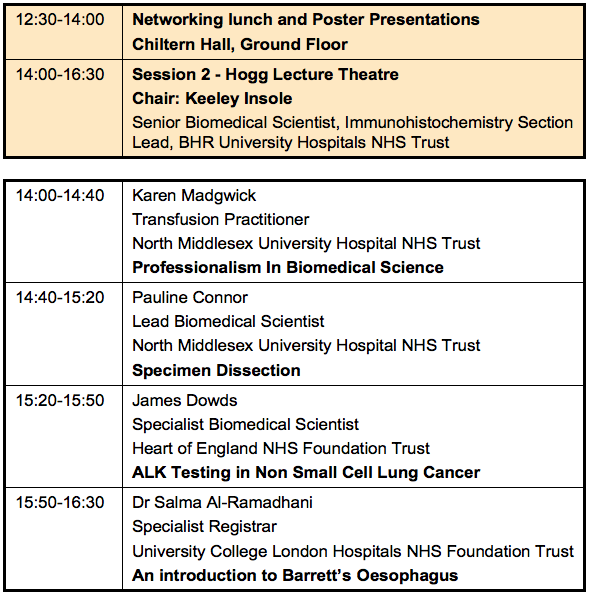 This year our talks will be themed around the current hot-topics of Modern Diagnostic Techniques and Digital Pathology. Our full programme will be published very shortly, but registration is open right now! So why not get your tickets early before they sell out? We hope you will be able to join us for our fantastic Issues With Tissues event that we have lined up for you this year. Date: Saturday 19th October, 2013. Venue: University of Westminster, Marylebone Campus, 35 Marylebone Road, London, NW1 5LS.